This week, California sheriffs united and announced their opposition to the gun controls Lt. Gov. 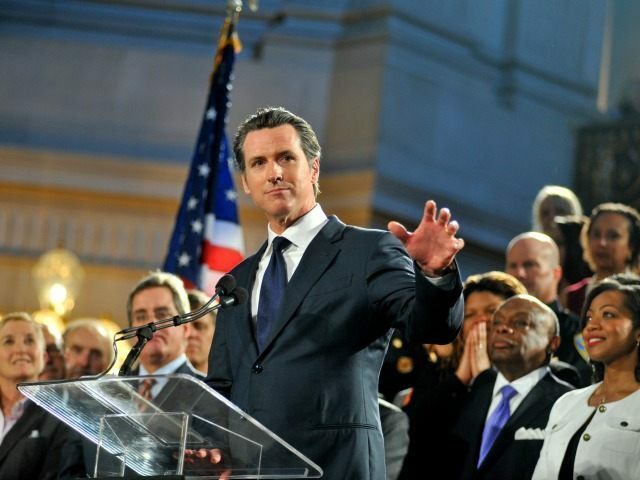 Gavin Newsom is trying to place on the November ballot. Newsom’s proposals include limiting every gun owner to owning ammunition magazines with a maximum capacity of ten rounds–the same capacity Elliot Rodger used for his May 2014 Santa Barbara attacks–and to forcing ammunition purchasers to undergo background checks similar to those required when purchasing a gun. According to The Sacramento Bee, California sheriffs argue that these proposals will do nothing to “prevent criminals from obtaining guns and ammunition via the black market or theft,” but they will make it harder for law-abiding citizens to own the guns and ammunition they need for self-defense. The sheriffs’ opposition to Newsom’s gun control proposals bolsters the California Rifle & Pistol Association’s (CRPA) Coalition for Civil Liberties Campaign, which was launched in February to oppose Newsom’s push. The Los Angeles Times reported that the CRPA’s coalition includes other gun rights groups, as well as “diverse” supporters like Los Angeles Deputy District Attorney Michele Hanisee and technology executive Chris Cheng. All believe Newsom is exploiting the December 2 San Bernardino terror attacks to push more gun control onto the backs of law-abiding citizens.